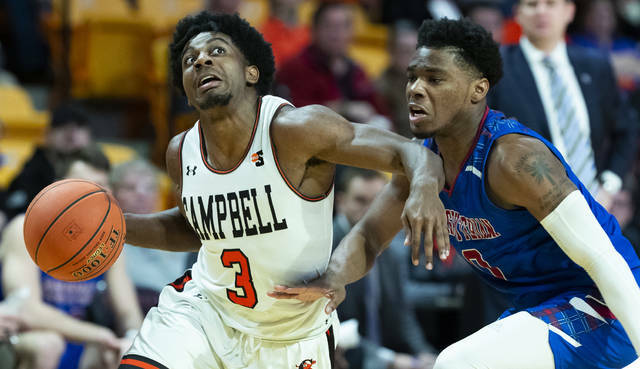 BUIES CREEK, N.C. (AP) — Campbell’s Chris Clemons keeps hitting shots near midcourt logos, dunking in traffic and passing big names on the list of college basketball’s best all-time scorers. The national scoring leader has a fearless game packed into a 5-foot-9 frame, making the senior the headliner of college basketball’s crop of big-time undersized scorers — including No. 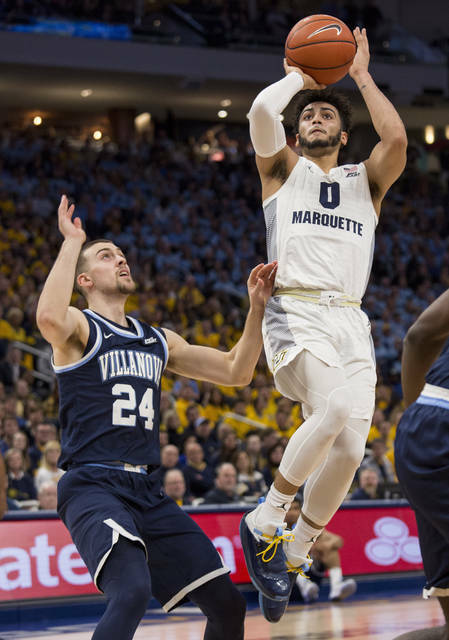 10 Marquette’s Markus Howard and No. 12 Purdue’s Carsen Edwards. They are Mighty Mites in a game that endlessly yearns for bigger, faster and stronger. • And the season’s only two 50-point games came from small scorers: Howard with 53 points against Creighton in January and Furman 5-11 junior Jordan Lyons with 54 against North Greenville in November, though that was an outlier amid Lyons’ 16.3-point average. “If you’ve grown up with the ball in your hands your whole life — you’ve had the ball, you’ve made decisions, you’ve had to score, you’ve had to figure out ways — then you’re going to find a way,” said Kevin McGeehan, Clemons’ coach at Campbell. In Howard’s case, it starts with maximizing every opportunity. He’s shooting 43.7 percent on 3-pointers and hit 10 in his 53-point outing. But he gets to the line, too, where he attempts seven shots per game and shoots 91.6 percent. That alone can turn a good game into a great one, like when he hit 19 of 21 free throws against Kansas State in one of two 45-point showings this season. Amid that college success, it’s unclear how their games might translate in the NBA. Jay Williams, a former AP national college player of the year at Duke and NBA player, said they will need to find the right fit — maybe a roster seeking scoring or playmaking off the bench — while overcoming defensive concerns. “This is not me saying that Chris Clemons can’t do it or Markus Howard can’t do it. But we don’t see them being guarded by guys who are 6-6, 6-7” in college. So far, Clemons is thriving against just about anyone. 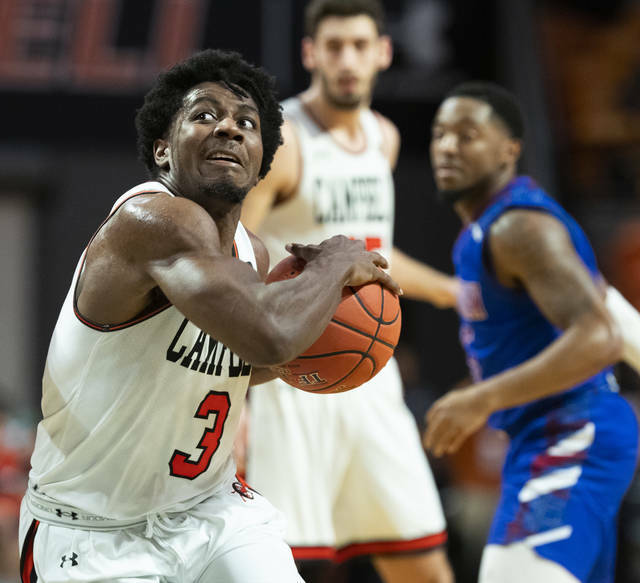 With a strong 180-pound frame and a quick release, Clemons comes around screens and elevates for 3-pointers even with a defender on his hip. He’s always ready for the big shot, including when he raced upcourt to bury a 30-footer at the horn to finish with 39 points and win at Big South Conference-leading Radford. He’s also got hops. Just watch his move against Presbyterian as an example, when he came around a perimeter screen past two defenders and took off from the edge of the paint to throw down a heavy dunk. Clemons, whose favorite player is former Georgetown and NBA star Allen Iverson, had a season-high 45 points against those Hoyas in a December loss and earned high praise from Hoyas coach Patrick Ewing. Clemons’ only other offers out of high school in Raleigh came from Gardner-Webb and UNC Greensboro. Yet he’s scored more points than Duke’s J.J. Redick, Indiana State’s Larry Bird, North Carolina’s Tyler Hansbrough and Houston’s Elvin Hayes in his climb up the NCAA list. He could pass Kansas’ Danny Manning (2,951) and Cincinnati’s Oscar Robertson (2,973) with two games this week as he closes in on becoming the ninth player to score 3,000 career points. And he’s on pace to become the best scorer shorter than 6-0. That mark is held by Saint Peter’s Keydren Clark, who at 5-9 scored 3,058 points (25.9 career average) from 2002-06 before an overseas pro career.